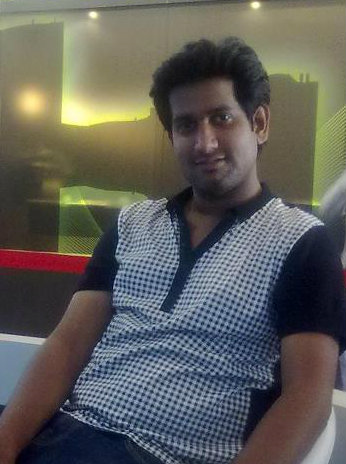 Niranjan kumar is another successful IT Professional mentored by InFI. He followed mentors guidence meticulously at InFI to become a seasoned developer in a very short time. Niranjan explains how InFI bought his talents in limelight. Hi, this is Niranjan. I am a B.E (ECE) graduate and have years of interval after graduation. I also have work experience; I was working with few companies where I had no chances of learning new things and no proper guidance. Then, one fine day I joined InFI. I joined InFI on Feb, 2016 for getting skilled in Java technology. Though have work experience I don’t have much knowledge about basics of programming and decided to start my career as a fresher. After joining InFI I was trained and given opportunity to explore. They also helped us with free Wi-Fi connection. With the help of their free mentoring and guidance I was able to grab a job in Hexagon Global Solutions, Chennai as Java Developer. We are trained by experienced mentors. They mentor and also encourage us to come up with new ideas. I would like to thank Mr.Rupesh, Mr.Muthu, P.v sir, sathya mam and our communication mentor Sukrutha. This is the best place to start the career. Ashwin is an Engineering graduate is selected and mentored at InFI on various technologies, personality and communications skills; with support and cooperation of core team consisting of Sathya , Sukrutha and PV. The program lasted for about three months during 2016. Ashwin says few words about InFI. This is Aswin from InFI. Though I graduated from a reputed college, I was not able to get placed through placements at college. Later, after graduation I was told about InFI by a good friend of mine. I was referred by my friend to InFI and I joined InFI. Now, Iam placed as an Oracle developer in BEYONTECH, Chennai. On day one, I liked InFI’s environment it was comforting and people here are friendly professionals. I realized that it is not an institute or consultancy. At InFI, One can learn as well as implement the knowledge they gained. We come at 8:00 am in morning and will leave at 9:00pm, we spent most of our time in InFI and thoroughly enjoyed doing so. Mentors here are well experienced and professionally trained. Especially, Mr.Vivek and Sukrutha helped us from basics. At InFI, the guidance which experienced was more than what I have expected. This were not just words- if you want to feel the difference, step into InFI and you will feel the Magic. Sri Vatsav is worked on various IT support tasks at InFI and gained comprehensive skills to be an effective professional. He joined InFI on Jan,2016. With the help of the expert training he was able to crack IBM interview as well. All the members of this batch have successful careers at various leading IT services companies. This is Sri vatsav, I joined InFI in the month of January, 2016. Finding right job was truly a nightmare for me until I joined InFI. Since Iam an ECE graduate it was difficult for me to get placed in software. I joined InFI and learned Oracle here. We learn, execute and work as a team. My Experience at InFI is a smooth ride and I owe it highly to my decision of joining InFI and to the professional mentors at InFI. It was really a good experience here. I have improved both my technical and communication skills at InFI with the help of professionals at InFI. Iam now, an proud employee of Beyontech, Chennai and also cleared IBM interview with the help of InFI. I was placed as Oracle developer. This job which I got is completely based on the mentoring at InFI. Iam grateful to Mr. PV, Sathya mam, Vivek and Sukrutha. They will follow thoroughly throughout the process and will ensure that you are fully equipped with all available information and knowledge and also will help you with the interview procedures. No matter from which stream you are from InFI provides equal opportunities to everyone. It is the right platform which reduces the chances of being unemployed even after a degree or a break. I would recommend every fresher to InFI, it s the right platform to start the career. All the members of this batch have successful careers at various leading IT services companies. Sai Krishnaa a sincere and hardworking individual with highest degree of commitment is an asset for any organization, he works for.He joined InFI on Jan,2016 for Oracle training. All the members of this batch have successful careers at various leading IT services companies. Hi, this is Sai krishna. I’m glad that I have been placed in BEYONTECH as Oracle developer in Chennai. Before coming to InFI, I was not familiar with the basic concepts in Oracle. After joining InFI, I was mentored by professionals like Mr. Vivek pandian , PV sir, Satya mam and Sukrutha. They guided me like a child and helped me with all the technical aspects throughout the process. Apart from mentoring also experienced hands-on training which helped us to understand the concepts easily. And that has helped me to grab a job in a matter of two months. One could not ask for any better guidance and knowledge than what mentors at InFI provide. Iam very happy with InFI and thankful for the career opportunity it has provided me. I would highly recommend InFI to anyone who looks for a job opportunity to start a good career as a fresher. Suresh is an optimistic, hardworking Engineering graduate who is mentored at InFI. Sai Chait hanya realized that he needs to learn to code, for a career in IT industry. He came to InFI six months back and decided to be part of the group we were mentoring in Oracle DB programming for 3I-Infotech and Beyontec Solutions. After three months of mentoring, he is Software Developer at Beyontec. Congratulations, Sai !!! It’s your own journey to build a great career from here on…. All the best from InFI for your career growth. Priyanka was mentored at InFI on Web-Application development on dotnet. She was mentored in Concepts of Programming by PV, dotnet & C# by Niventh, HTML, CSS & JS by Rupesh. InFI philosophy is Do&Learn – Ask&Learn. As promised InFI has placed it’professionals in reputed organizations. It is indeed a great pleasure to know that our work is touching lives of a lot of people. Here is what Priyanka says about InFI. “At InFI I got an opportunity to work with wonderful, well-experienced people and that helped me in gaining confidence. Before InFI, I had made mistakes due to no proper guidance but after getting into InFI, I have learnt lessons from those mistakes and also learnt better techniques on how to avoid them in future. Since it was a team-work I had an experience to learn from other’s mistakes as well. It has become an added advantage which comes in handy whenever I present my skills in interviews. The international syllabus taught at InFI was completely out of box and was very effective”. Shanmugha Priya was mentored at InFI on Web-Application development on dotnet. She was mentored in Concepts of Programming by PV, dotnet & C# by Niventh, HTML, CSS & JS by Rupesh. She has developed programs for some interesting problems assigned during her program at InFI, which helped her to learn. InFI philosophy is Do&Learn Ask&Learn. InFI is a fantastic option for those who seek professional experience while retaining the freedom of your creativity. InFI is selfless, it provides FREE mentoring. It is truly a good choice. InFI is a milestone in the journey of my life which I would cherish till the very end. I had a full-time program for three months. The training was helpful where I got a chance to learn and work with eminent professional trainers. The management makes sure that each and every individual is ready for the corporate world and they start it from the very first day and the trainers here are well experienced. The rigorous schedule, the assignments, the GD’s, the surprise quizzes, communication training, the presentations and many more fruitful activities make you all set to step into the tough challenging world of corporate. The trainers in InFI are the best that one could get and also they have more than five years of experience. Being a fresher with a year of gap I always doubted how well I would be able to end up with a job, but the training sessions, technical skills learnt along with the experienced and friendly trainers proved me wrong. I experienced a very different and innovative way of teaching and learning. I was taught the work etiquette and the corporate culture by 2 weeks along with a good knowledge in communication. I became friendlier in nature and also learnt team-management while working. I would like to thank Mr.PV Rao and Ms. Sathya for helping me grow. I would also like to thank Mr. Niventh for explaining us all the logic with the technologies. I dedicate my success to InFI and I am happy and proud to work in a reputed organization like Hexagon global solutions, Chennai. I work as Software developer. For my successful journey at InFI I would like to say a big thanks to Mr. Rao for giving us good guidance and Ms.Sathya who is always on her toes to help trainees to achieve success. Vijay Kiran a positive and soft-spoken fresher with enginerring a degree joined InFI professionalization programme. He was part of Open source applications development team, mentored for ZANEC and Crayon’d during first quarter of 2013. InFI UI /UX program was desgined and delivered with the support of Sasi, Sathya and PV. He has also gained exposure to Android, BlackBerry programming and Crystal Reports. Vijay’s software development skills and Open source application development expertise has earned him a position on Crayon’D project team as Software Engineer. He has worked on important software development projects at Crayon’D and completed them successfully. InFI is confident vijay will exceed expectations of employers and build a great career for self in IT industry. InFI wishes Vijay all success in his career in IT industry and can be reached through vijaykiran.penumudi@gmail.com for all career guidance and professional developemnt.